The natural scientist is constantly in search of truth, characterized by the ideal of an uncompromising intolerance for mistakes. Recognizing mistakes is an indispensable part of the learning process. Indeed, mistakes – by both student and teacher – can be systematically built into classroom strategies. The collision with, and defeat of, carefully chosen mistakes is often the surest way to clear understanding. The presentation begins at noon in the Capitol Room of the Holmes Student Center. Refreshments are served at 11:30 a.m. No registration is required, and all are welcome. 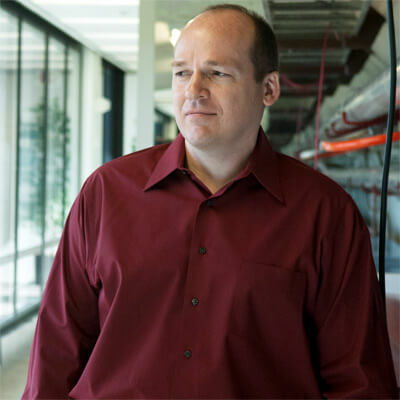 Martin, who joined the NIU Department of Physics in 1999, is a theoretical physicist who works on understanding the most basic constituents of matter and energy and the laws that govern them. His research currently centers around the recently discovered Higgs boson, and on the possibility of discovering new particles predicted by a theory called supersymmetry. His favorite classes to teach include electrodynamics, particle physics and general relativity. Martin’s seminar is sponsored by the Office of the Provost and the Faculty Development and Instructional Design Center. For more information, call (815) 753-0595 or email facdev@niu.edu.